Dining Chairs Set Of 2 Just $76.11! Down From $174! PLUS FREE Shipping! You are here: Home / Great Deals / Amazon Deals / Dining Chairs Set Of 2 Just $76.11! Down From $174! PLUS FREE Shipping! Amazon has this Dining Chairs Set Of 2 on sale for just $76.11 down from $173.95 PLUS FREE shipping! 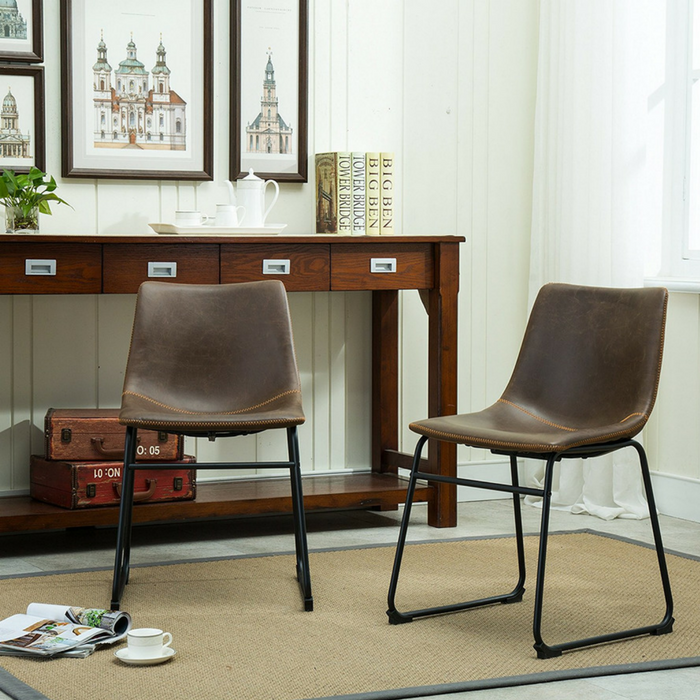 Combining the sophistication of leather with clean-lined, simple design, the Roundhill Furniture Lotusville Vintage PU Leather Dining Chairs highlights your dining table. Crisp, clean lines give this set of two dining chairs a modern appeal that’s right at home in most any home setting. Thick layers of foam cushioning cover the circular form, and a high-grade PU faux leather is used for the upholstery. The sleigh-style legs offer a minimal form with exceptional strength and an integrated footrest.